Crazy cone in the kettle from the whirlpool. 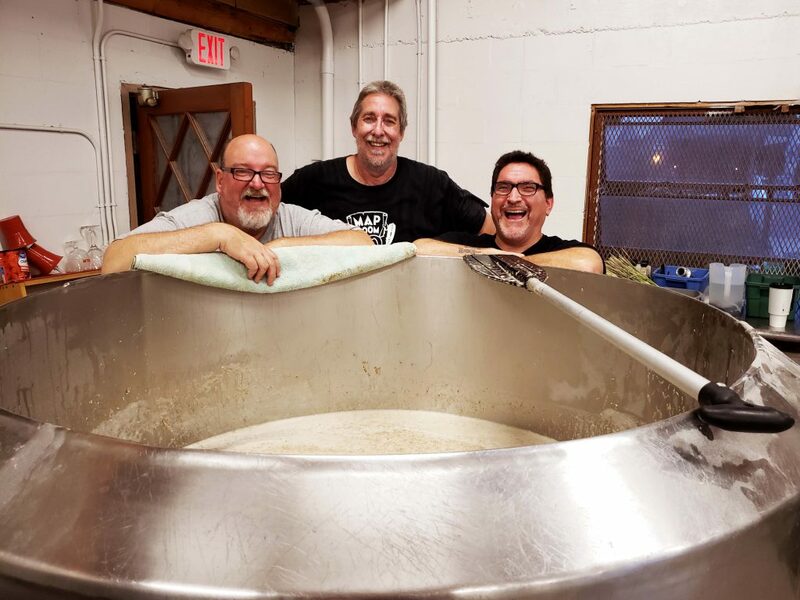 Ghost in the Kettle is a collaboration between Brasserie Fantôme, Brasserie Saint Somewhere, Barley Forge Brewing Co., and Beancurdturtle Brewing LLC. A lucky collaboration from me pitching the idea to three brewers, all whose beers I loved for one reason or another, all who know how to brew a Saison. Starting with a recipe designed by Beancurdturtle Brewing (that's me), each brewer tweaks it to their own taste and process. The three beers should have a similar backbone, with each a different personality. 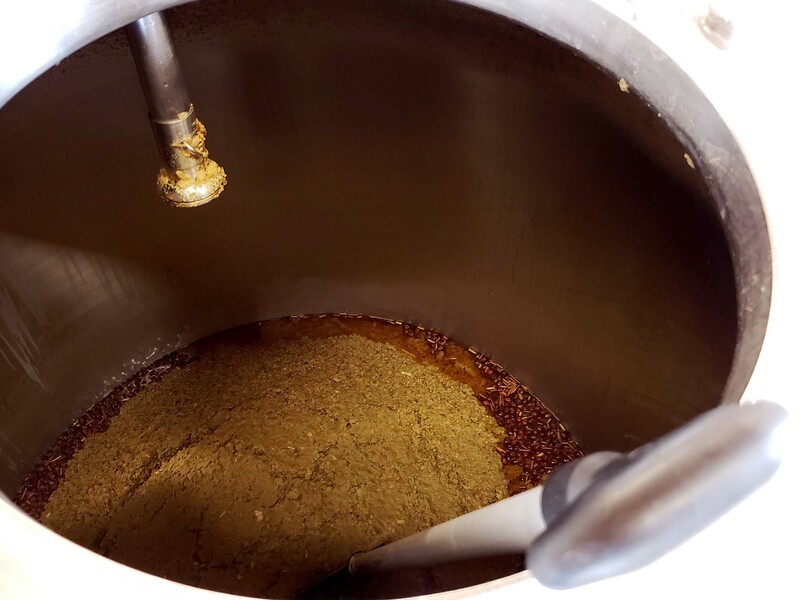 The first batch was brewed at Barley Forge Brewing Co. a few weeks ago. Early start on the brew day at Brasserie Saint Somewhere. 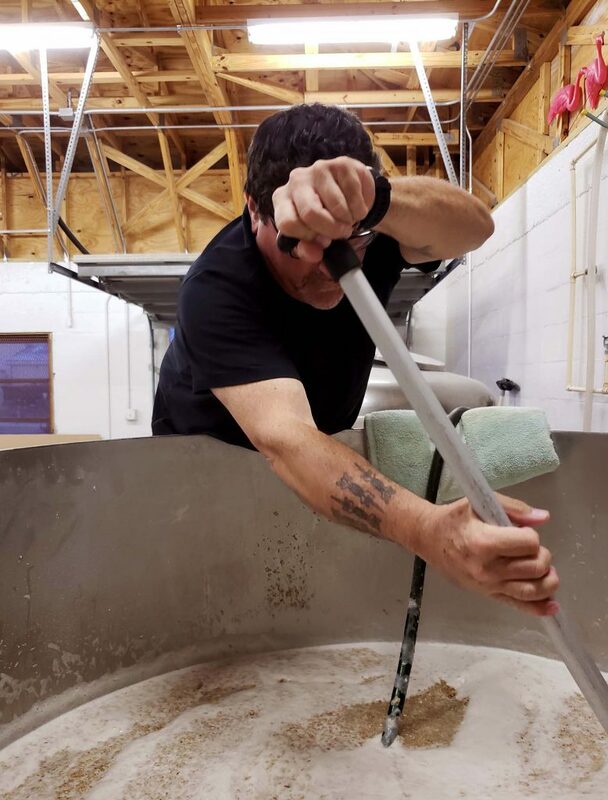 A little over a week ago I visited Brasserie Saint Somewhere where Bob Sylvester brewed his spin on Ghost in the Kettle. 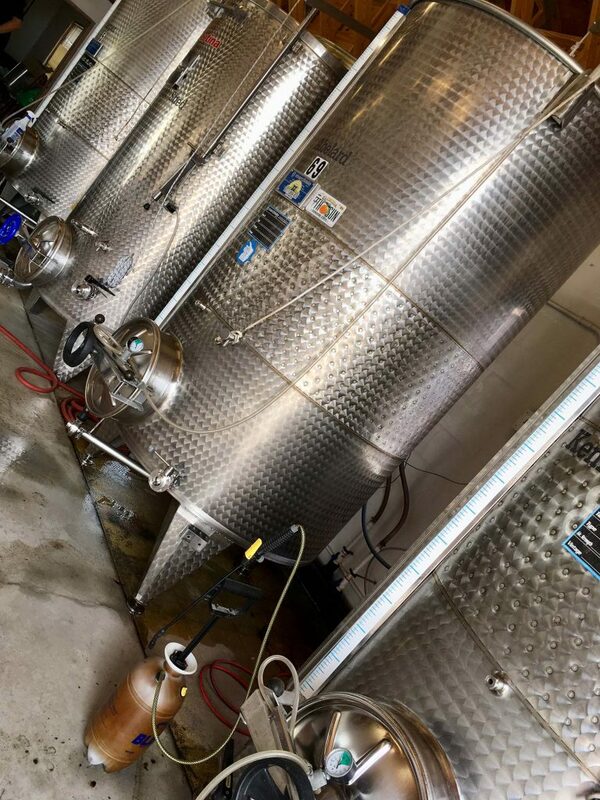 Some changes in the hops and hop schedule, an addition of honey in the fermenter, his own house yeast strain and "Free Range Tarpon Springs Brett and friends". I'm very much looking forward to the beer that this will be. From Bob's last message "Pitched the honey today. Beer’s doing great. Can’t wait for the finished product." I believe he is on the same page. Bob and Daniel hugging the mash tun. 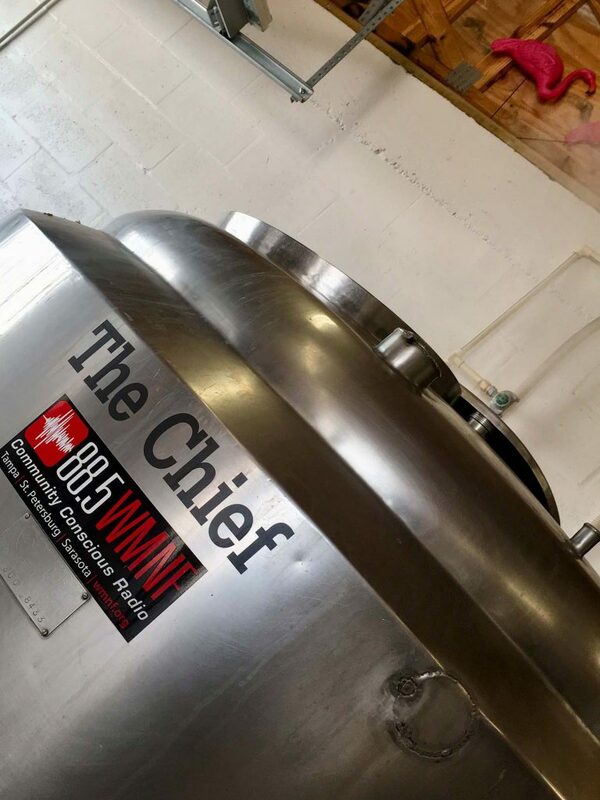 One thing I remember from the brew day was wrapping up and walking from the brew house to the taproom, I told Bob "I'm really pleased and I feel privileged that I got to be here today." He laughed and brushed the compliment off. Pretty much the same kind of reaction I got when I told Dany Prignon of Brasserie Fantôme that he was like an icon of Belgian Farmhouse, "Ouf! 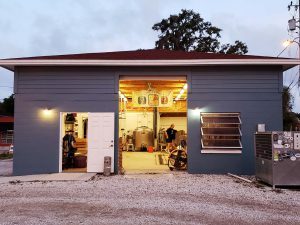 I'm just a brewer." 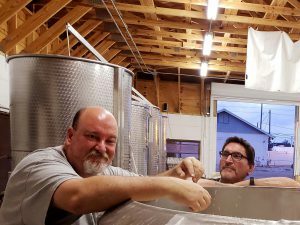 All three of the brewers in this project have been low ego, open, and generous to me with ideas and answers to my questions about brewing Saison with a bit of wildness. Good ideas, good brewers, good will – can't result in anything less than good beer. I am looking forward to enjoying the beer from all three exceptional brewers. Brewing is fun, if you catch the brewers before the heat of a June day in Florida. Stirring the mash "the way beer was brewed 100 years ago". See the Ghost in the Kettle? Ghost in the Kettle second fermenter from the back. 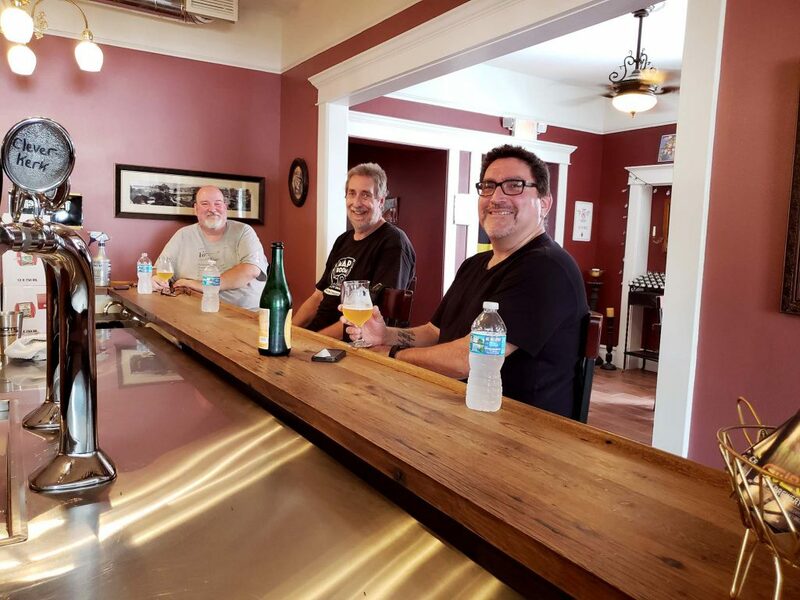 Bob, Mike, and Daniel enjoying an after brew beer in the taproom.